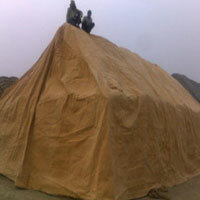 Paddy Stacks Tarpaulins Manufacturer in Delhi, Paddy Stacks Tarpaulins Supplier in Delhi, Paddy Stacks Tarpaulins in Delhi. Paddy Stacks Tarpaulins in Delhi,Paddy Stacks Tarpaulins Manufacturer in Delhi,Paddy Stacks Tarpaulins Supplier in Delhi. Madras Canvas is remarkable Brand in Tarpaulin Industry, engaged in supplying a superior & wide collection of Tarpaulins, Paddy Stacks Tarpaulins. Tarpaulins is designed by our skilled professionals as per the industry norms & guidelines Madras Canvas offered a wide range of Paddy Stacks Tarpaulins which is widely acclaimed for strength, very much in light weight, shrinkage resistant & life Long Product.